The property is located on the main street of Playa Blanca, very close to the Royal Decameron resort, which is located in an area of the Pacific Coast which has been the subject of various recreational and tourist developments. Within a radius of just over 40 km you will find places like Coronado, Punta Barco, Costa Esmeralda, Vista Mar, the resort of Playa Blanca Hotel Barcelo, Las Cabanas Veraneras and Buenaventura. 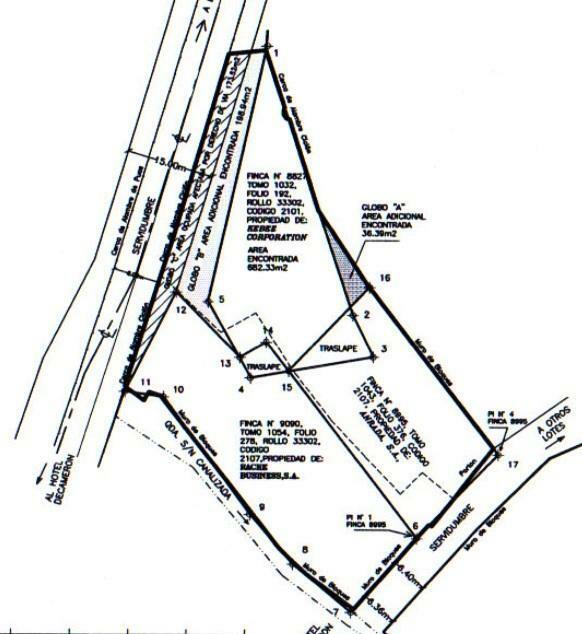 The two lots have a total area of 1483 m2. Exclusive area, not in the area of farallon. These lots are just next to the lots that belonged to Noriega. You also have the option to buy the lot with the land that is next to it that has a house built in of 5 bedrooms each with its own bathroom, besides buying lots alone or house alone.